Warriors starter Carson Pillsbury delivers a pitch during a rain-soaked start to action on Saturday. 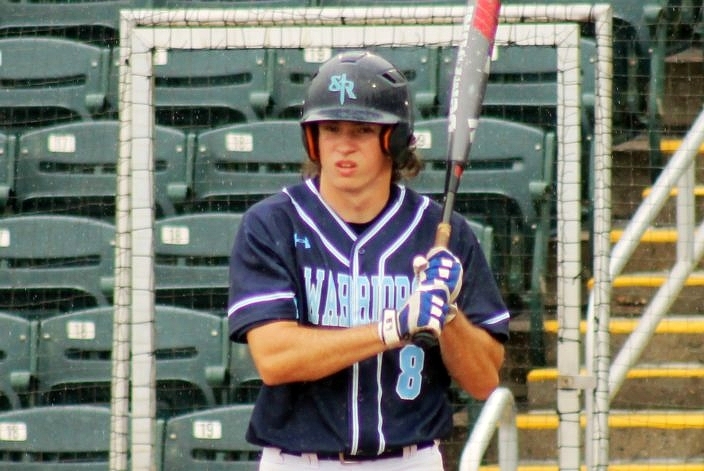 A memorable playoff run came to an unwanted conclusion on Monday morning, as the Seven Rivers Christian Warriors lost 13-5 at the hands of the Miami Christian Victors, in a 2A state semifinal at Hammond Stadium in Fort Myers. The game had originally begun on Saturday morning, before weather related to Tropical Depression Alberto rendered playing conditions unfit in the top of third inning with the Warriors trailing by a pair of runs. The tides turned towards the Victors during a tough fourth inning, as Miami Christian (23-5) broke out for four runs to take an 8-4 advantage. Jose Izarra had an RBI single to put the Victors back in front, and Diego Fernandez had a double with the bases loaded that led to all three runs scoring to break the game open. Two more unearned runs an inning later further worked to determine the outcome. 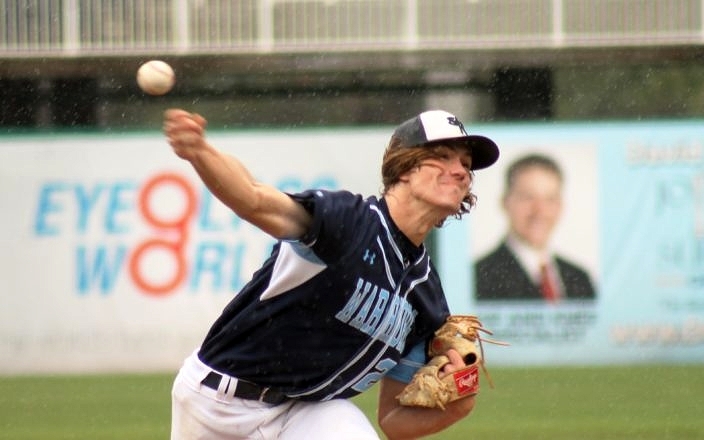 After both sides exchanged blows early on during Saturday’s rain-soaked start, the Warriors (19-7) came out with hot bats on Monday to quickly tie things back up with their first swings in the bottom of the third. Restarting the action with Weston Kinnard already on base after being hit by a pitch just before the stoppage on Saturday, Coy Phillips got it going with a base hit to right. CJ Bianco followed with an RBI single and Zavier Delgado made it a 4-4 contest with a liner into center that plated Coy. Parker Pillsbury chases down a fly ball to center field that ended the first inning. Miami Christian jumped out with the lead after scoring with their first swings. Arnold Ruiz was hit by a pitch, Eduardo Castillo followed with a single to right and Danny Miguel drove in courtesy-runner Jason Garcia with an RBI single into left field. Seven Rivers Christian answered right back to go ahead with a 2-1 lead. Parker Pillsbury singled to center leading off, Kinnard was hit by a pitch and Coy walked to load up the bases. Miami Christian nearly shut the door then, recording a strikeout and then a fielder’s choice that erased the lead runner at the plate. But Caleb Wharton came through with an RBI single to right, and a wild pitch then allowed Coy to score and give his club its first advantage. Even with precious outs slipping away late, the Warriors refused to go down quietly. 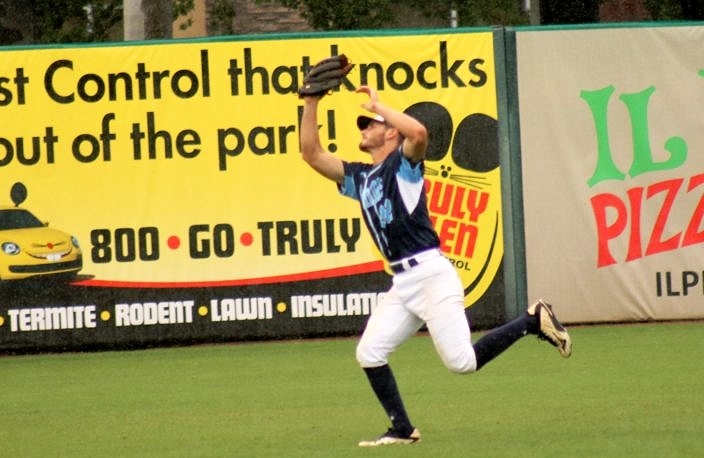 Parker Pillsbury illustrated that point in the bottom of the sixth, connecting for a solo home run deep into the bleacher seats in right field. Seven Rivers tried to get one last rally going in the bottom of the seventh, as Coy reached with a base hit to center leading off the frame. But a routine fly ball to center field was followed by a smooth 4-6-3 double play by the Victors’ defense that closed out the contest. Coy Phillips went 2-for-3 with two runs for the Warriors.